If you give something then you increase the probability that you will get something in return in the near and sometimes far future. Give money and you can buy something, be friendly and humans will probably reciprocate the friendliness, do someone a favor and they will be more likely to do something for you, have a respectful conversation and it is more probable that you will get respectful conversation back. 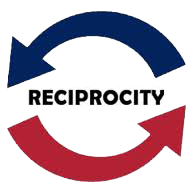 Reciprocity is one important key to successful human relationships but it must be a moral interchange where no one is intentionally being deceived, lied to, stolen from, or exploited. Unfortunately, bribing politicians to get unjust treatment in return with special interest laws or tax breaks which favor the bribers is also a form of criminal reciprocity which the society is tolerating to an ever greater extent. “You scratch my back and I will scratch yours” needs a moral foundation if it is not to degenerate into unjust coalitions which steal money from the rest of us who are taxpayers or steals our health with bad food and addictive artificial drugs which benefit big conglomerates but not the average and poor citizens of a country or world. This entry was posted in common sense, education, justice, science, society and tagged common sense, education, justice, morality, mutual benefit, reciprocity, science, society, stealing, taxes, the truth about reciprocity on May 31, 2014 by uldissprogis.